From Hartlepool, William Ainsley first served with the 21st (Reserve) Battalion DLI which was formed in July 1915 at Cocken Hall, near Durham, from the reserve companies of the 18th and 19th Battalions DLI. 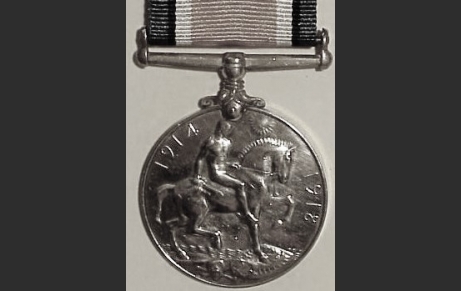 Private Ainsley later fought on the Western Front with the 18th (Durham Pals) Battalion DLI and was awarded the Military Medal for his bravery in 1918. Served as 21/375 Private with 21st (Reserve) & 18th Battalions DLI.